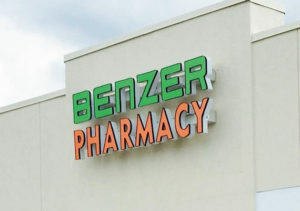 TAMPA, Fla. — Benzer Pharmacy has hired accomplished retail pharmacy and health care technology expert Meghann Chilcott to lead future decision-making efforts as the company’s new chief technology and marketing officer. In a career spanning more than 20 years — across the health care, retail, pharmaceutical and technology industries — Chilcott has established an enviable track record of success, both from the viewpoint of practical, real-world experience, as well as from the advanced perspective of an academic authority. Regarding the former, at her previous position as senior vice president of OrderInsite, a retail drug forecasting service, she played pivotal roles in business development and strategic partnerships, as well as in sales and branding management, among others. Prior to that, Chilcott held a vice president post with Fred’s, Inc., a southeastern U.S. chain of discount retail stores, supervising IT and pharmacy systems for approximately 370 pharmacies in 15 states; and also served in several capacities at Navarro Discount Pharmacies in Miami, capping off a productive nine-year tenure with her promotion to director of Pharmacy Services. On the academic side of the ledger, she holds a Master’s Degree in Business Administration and a Bachelor of Science in Information Technology; and is currently completing studies at Nova Southeastern University College of Medicine in pursuit of a Master’s in Biomedical Informatics. Earning her extra credit, Meghann is also highly skilled with the written word, penning health care technology articles published regularly on Forbes as a member of the magazine’s technology council. Just as impressively, she’s active in online media as a co-host of FutureDose.Tech, a platform for discussion of the latest trends in the industry on the Pharmacy Podcast Network.